My daily driver of 5 years is dead. i has a 1994 Honda del sol that has been threw hell and 260k miles. About a month ago the timing belt let go. Repairs only totaled $450 bucks but I decided it was time to let it go. 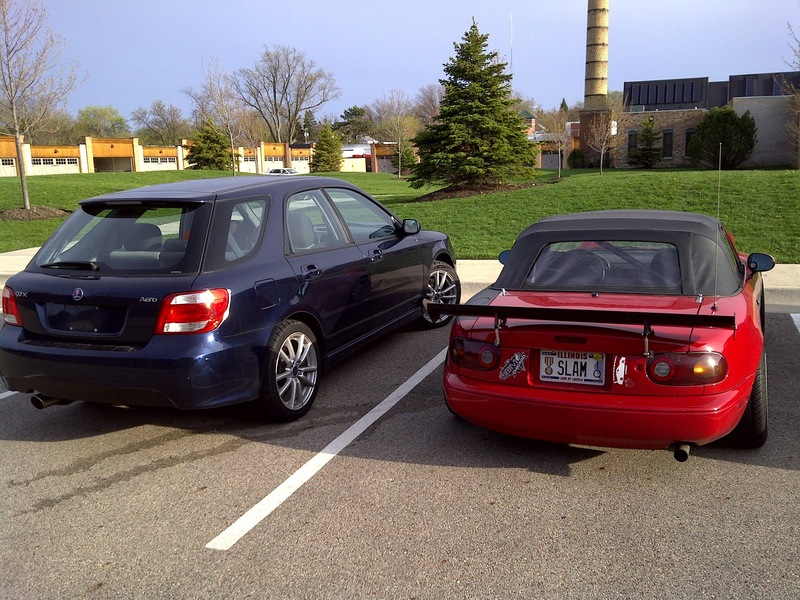 At the time I had 4 cars totaling, 8 seats, 16 wheels, 3 convertible tops, 1 targa top, and 0 back doors. I needed another 2 seater convert like i needed a STD. So i parted the little sol out. The money we made with the part out (along with mostly savings) we bought a fancy European car ;) . 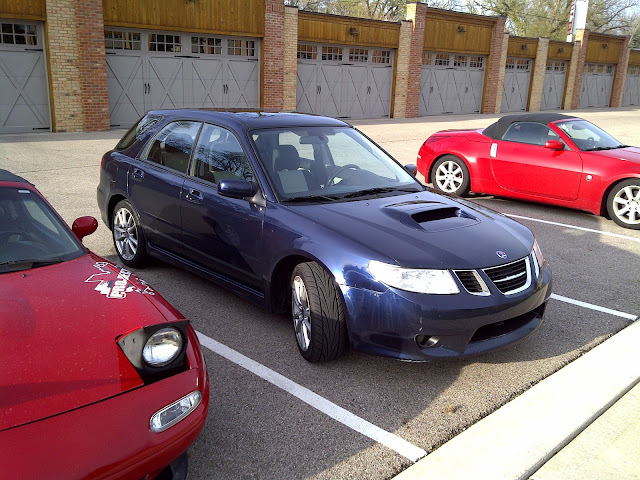 it says saab but we all know it as a saabaru. it's a saab 9-2x Aero (yep the turbo one), it's built off the Subaru wrx wagon platform and shares allot of parts. We have some mods in store for this one.